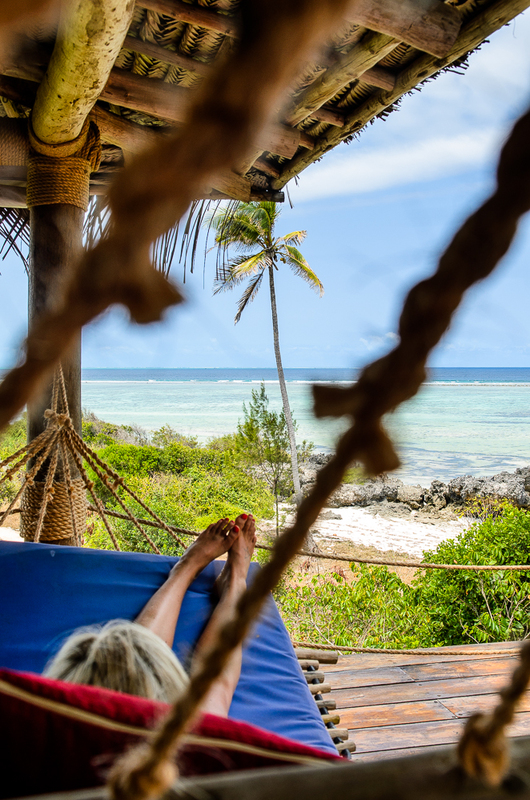 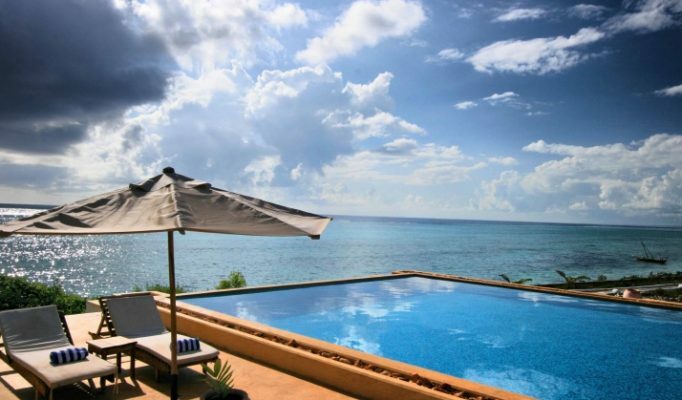 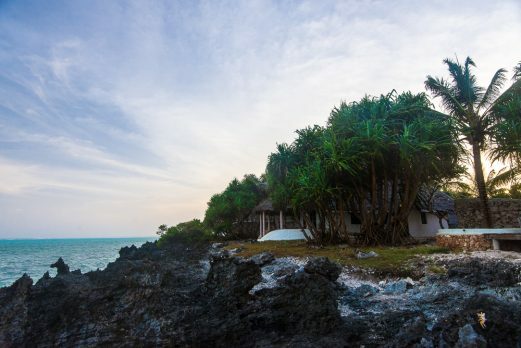 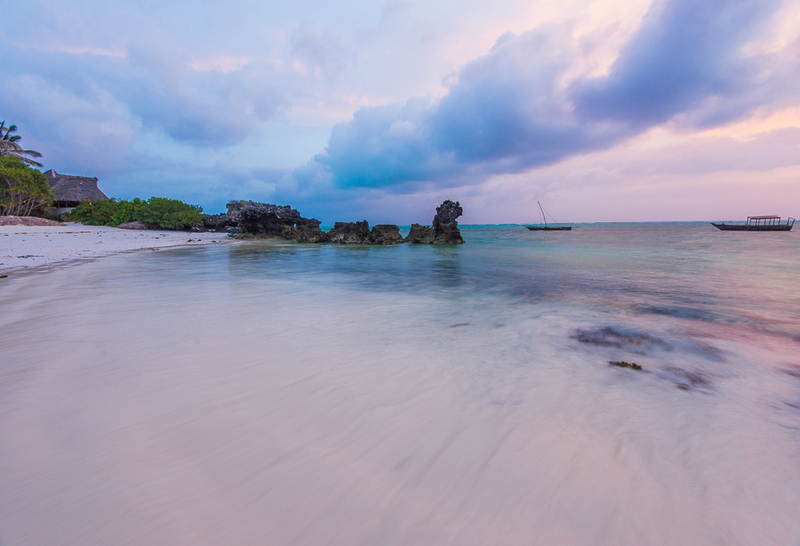 Matemwe Lodge is a wonderfully secluded luxury beach lodge at the northern tip of the stunning beach of Matemwe. 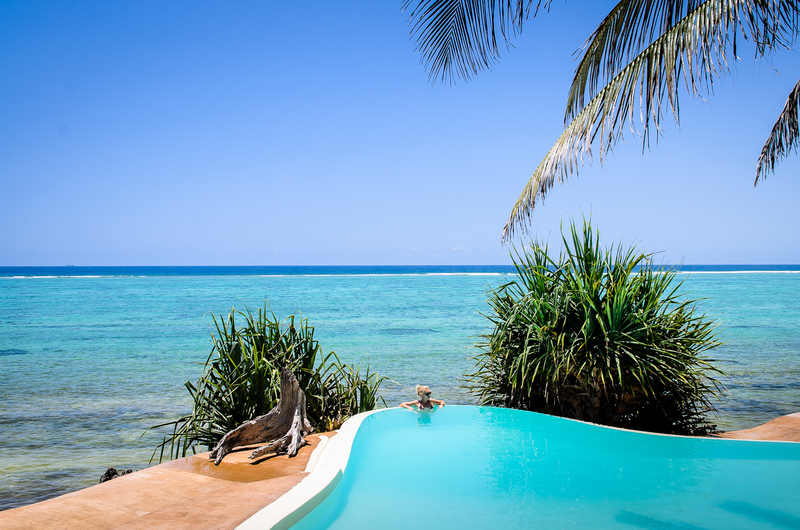 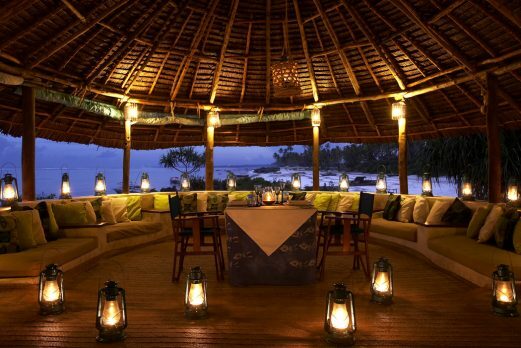 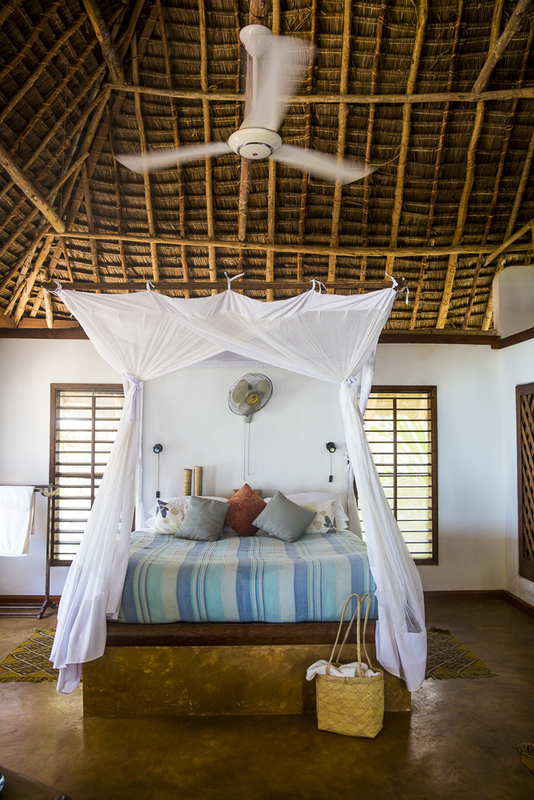 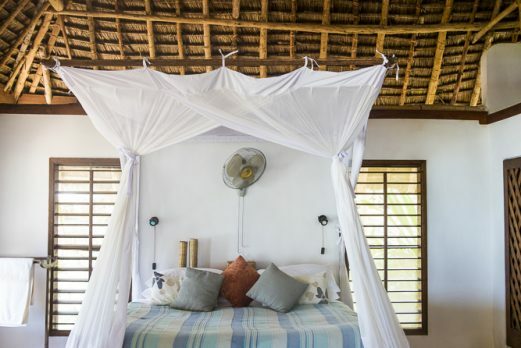 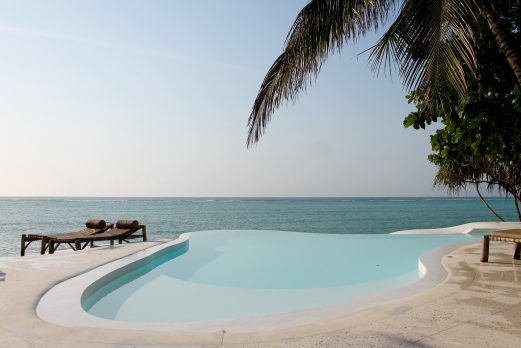 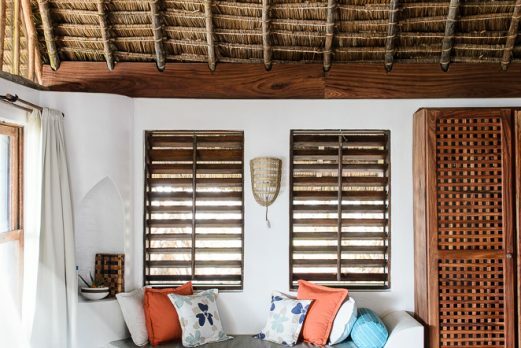 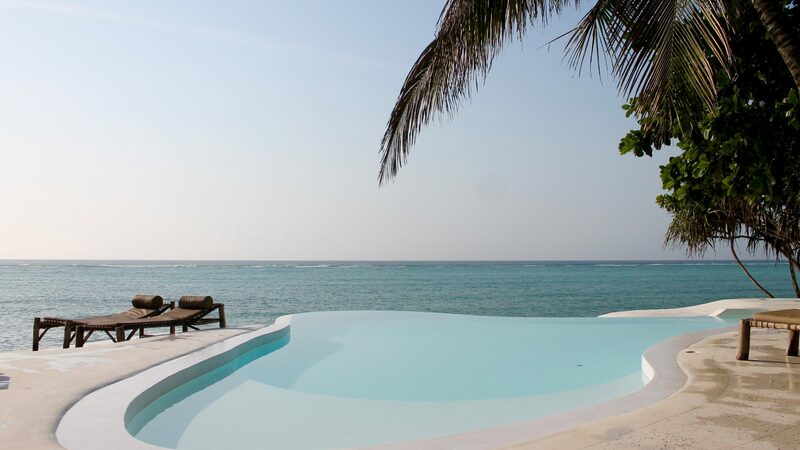 Matemwe Lodge (previously Matemwe Bungalows) is one of our very favourite luxury beach lodges throughout East Africa. 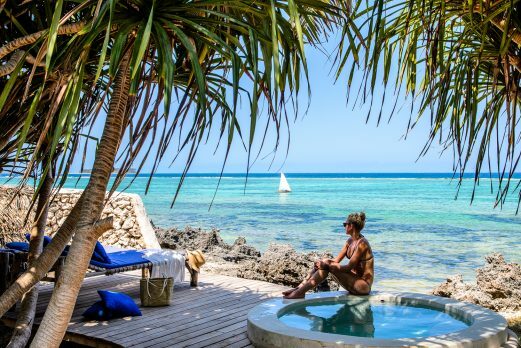 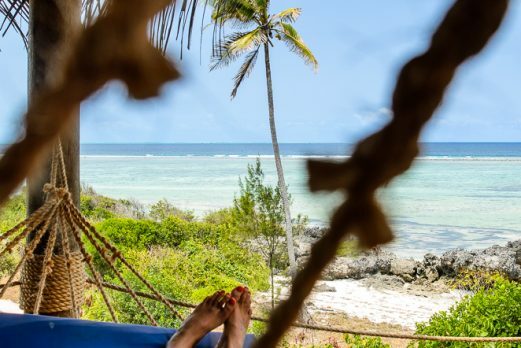 Stylish, intimate and discrete, the lodge sits along the rocks at the end of a long beach with views straight out over the tidal reef and lagoon towards Mnemba Island. 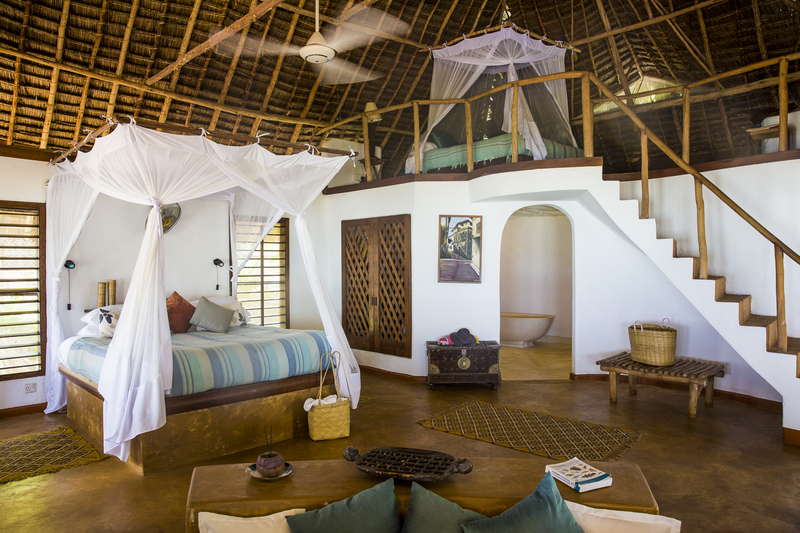 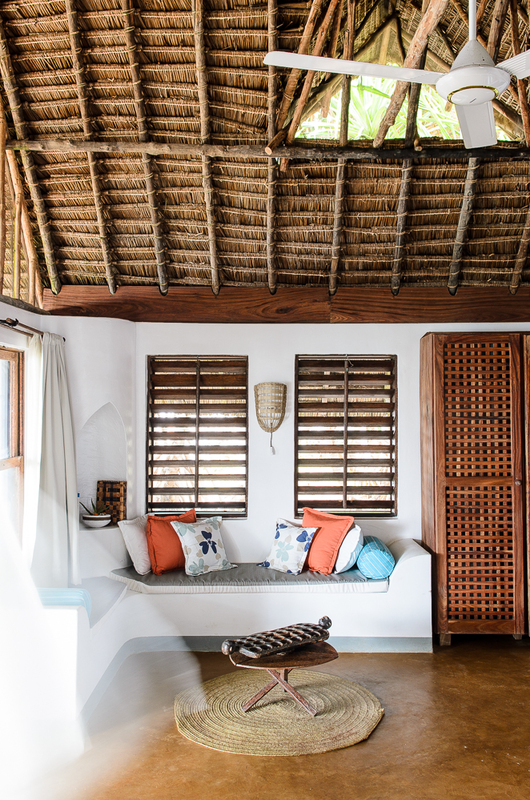 All the suite rooms offer a “barefoot luxury feel” having been built using locally made materials and designed on an ecologically friendly basis. They are very spacious and extremely comfortable with personal design touches and a wonderful veranda with daybed and hammock overlooking the reef and lagoon. 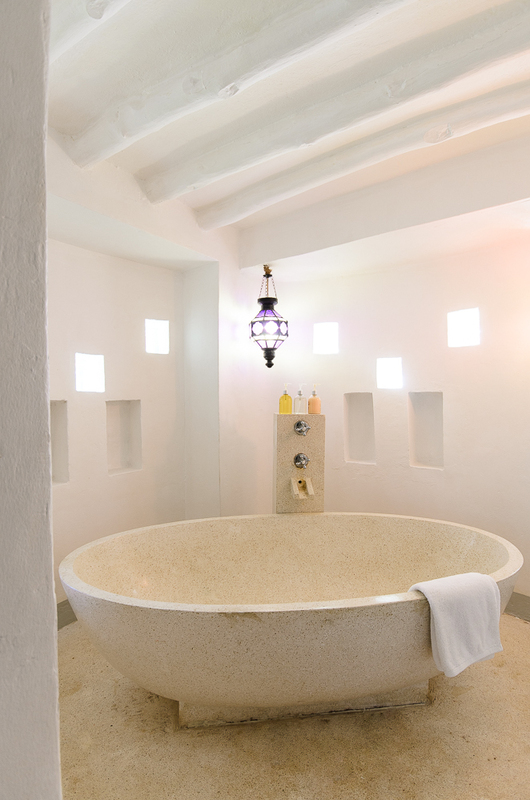 The large bathrooms are also attractive in design and have deep bathtubs and walk-in showers. At the “beach” end of the lodge is the open air dining room and a lounge area with stunning view straight down the palm-fringed coastline. 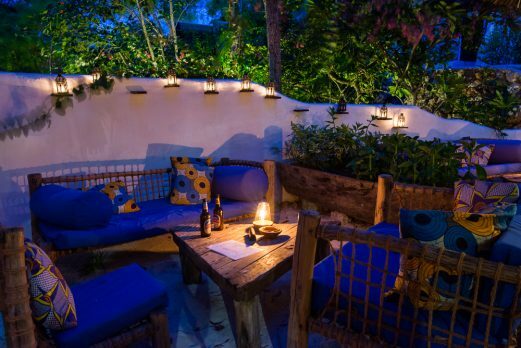 The food is very good with seafood the speciality of the house and all produce bought daily from the local markets. 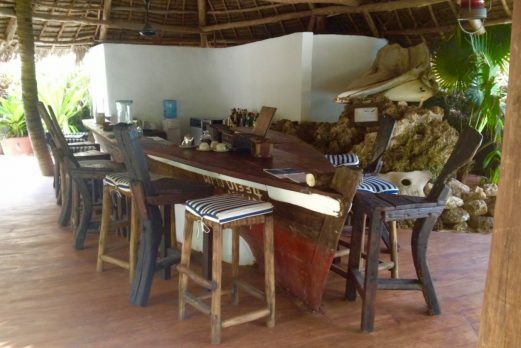 Lunch is a buffet offering a delicious mix of African and European flavours whilst the choices of main course at dinner include fish, meat and vegetarian options. 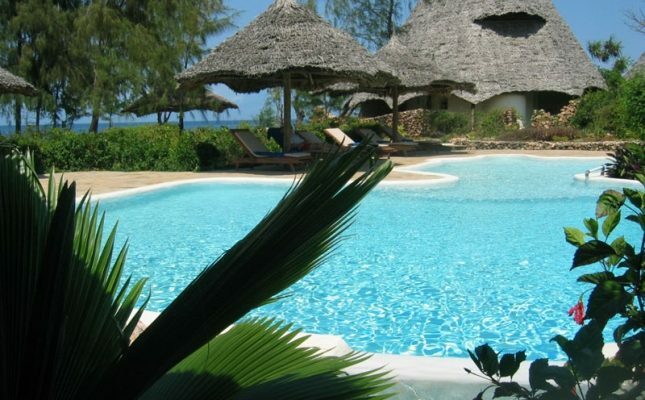 Within the lodge is a beautifully designed infinity pool with sun lounge area overlooking the sea, whilst just below this is the “poolside” bar where you can enjoy drinks and light snacks. 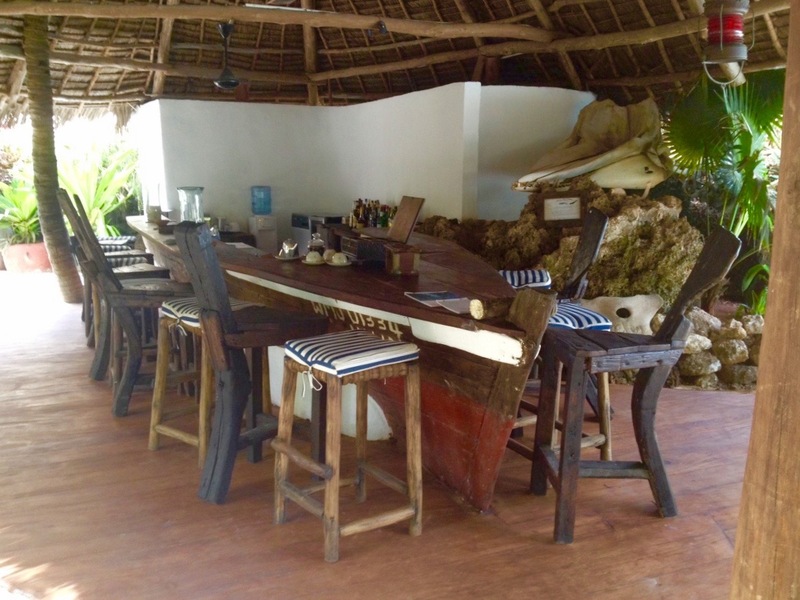 There is also a very good “curio” shop next to the simple reception area where you can also arrange a number of very cool activities such as a reef walks, sailing, and local culture trips. 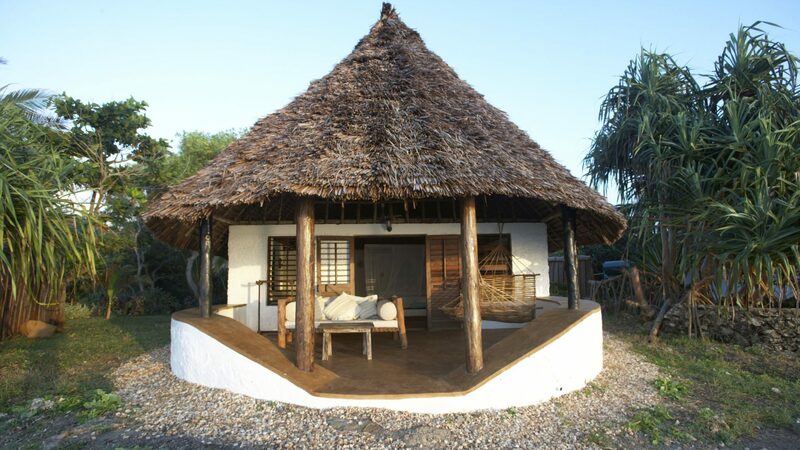 The lodge has a very positive history of supporting the local community both through employment and charity. 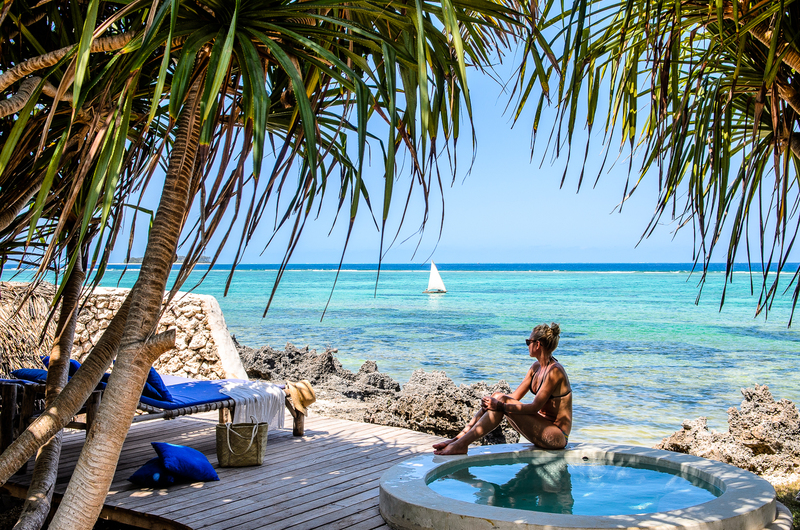 One of the iconic memories of any stay at Matemwe Bungalows are the fleets of traditional wooden sailing boats passing by the lodge in the early morning or as the sun goes down at the end of the day. 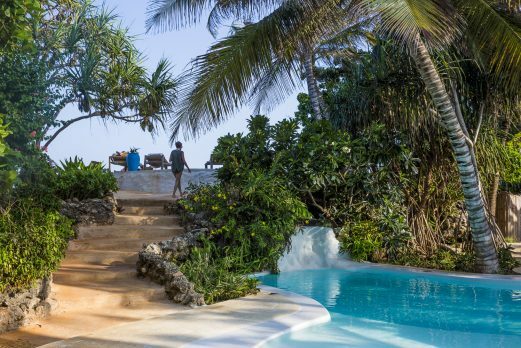 This image captures a truly romantic Zanzibar experience and is a dream for any keen photographer as they sit on the veranda outside their suite. 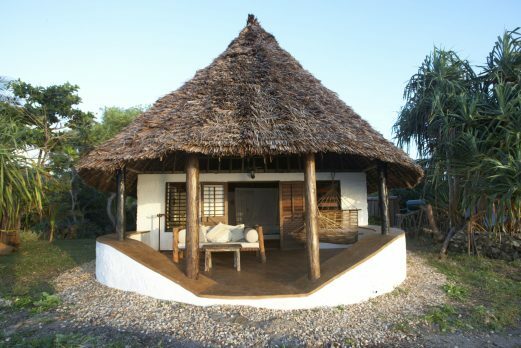 Matemwe Lodge is top quality luxury beach lodge with beautiful gardens, “talcum powder” sand beach and a heavenly environment.